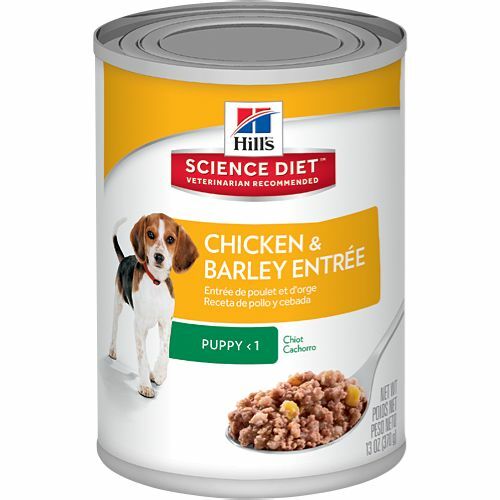 Hill's® Science Diet® Puppy Chicken & Barley Entrée dog food has great taste and precisely balanced nutrition to help build immunity and mobility. Superior nutrition from high quality ingredients enhances better overall health. Promotes gentle and healthy digestion and has a savory meaty taste your puppy will love!